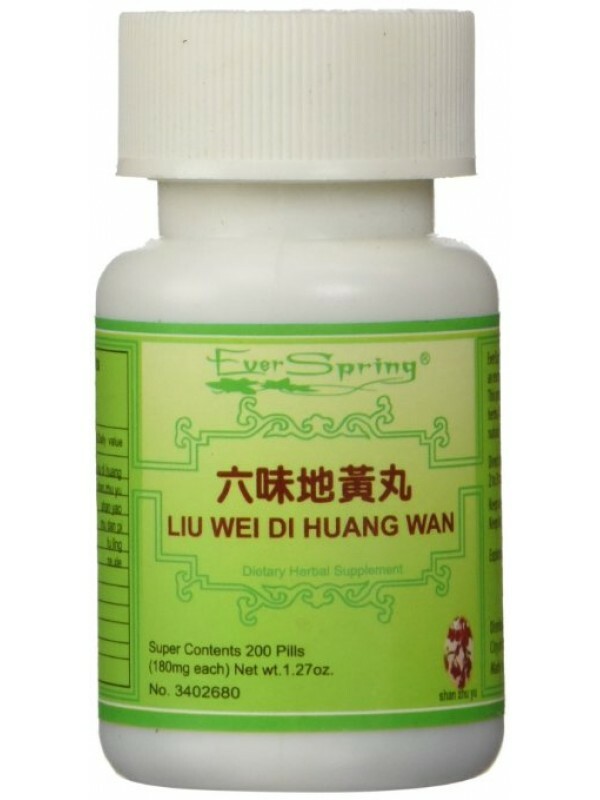 Liu Wei Di Huang Wan (Rehmannia 6) helps with diminished Yin where there is sweating, low fever, dizziness, tinnitus, soreness in lower back. Liu Wei Di Huang Wan (Rehmannia 6) – 200 ct. Product Code: Liu Wei Di Huang Wan (Rehmannia 6) – 200 ct. In traditional Chinese medicine this herbal formula is used to nourish Yin and is the foundation for many other Chinese formulas. A diminished Yin can be shown as sweat, low fever, dizziness, tinnitus, soreness in the lower back etc. Yin weakness occurs with age, sexuality, or chronic diseases. This product is not intended to diagnose, treat, cure or prevent any disease.